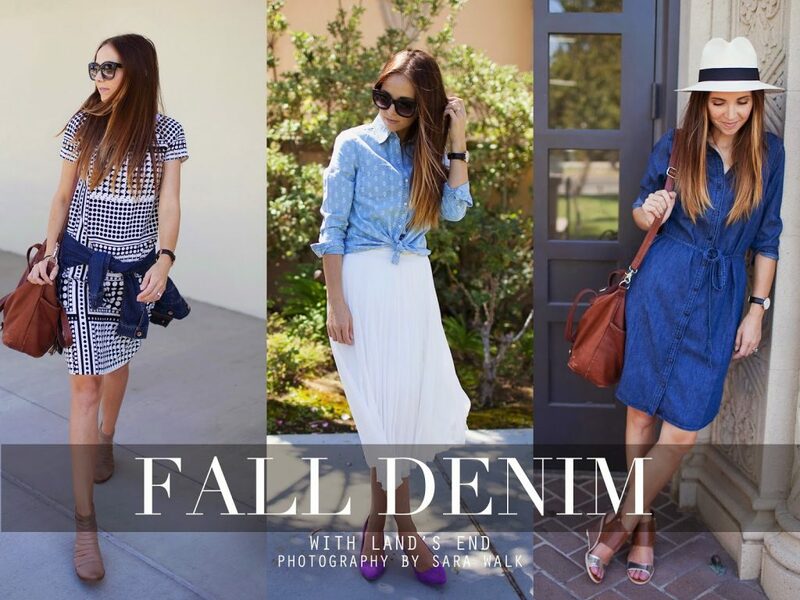 Fall is right around the corner and (pretty much like every season), jeans are my staple. But the last few years I’ve expanded my denim wardrobe to include more than just denim pants. There are so many fantastic denim choices out there that aren’t just blue jeans, so I’ve teamed up with Land’s End today to share a few great options for Fall. Denim Jackets. These are such a staple for fall, especially as a way to transition your summer dresses into fall and winter. Throw it around your waist during the hotter Fall days, and then it’s ready to throw on when it cools down in the evenings. This one from Land’s End is a great dark classic wash with the perfect amount of stretch. Chambray Button Up. 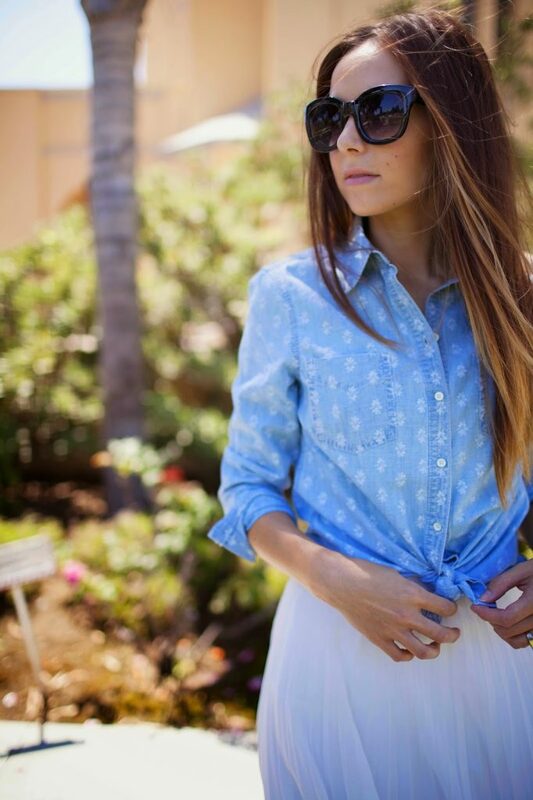 A classic chambray button-up is such a staple for every woman’s closet. I have several in my closet, but I love ones with a subtle pattern, like this one from Land’s End. They’re so versatile — throw it under a dress or sweater, leave it open for a laid back look, or tie it at the waist with an a-line skirt like I did here. 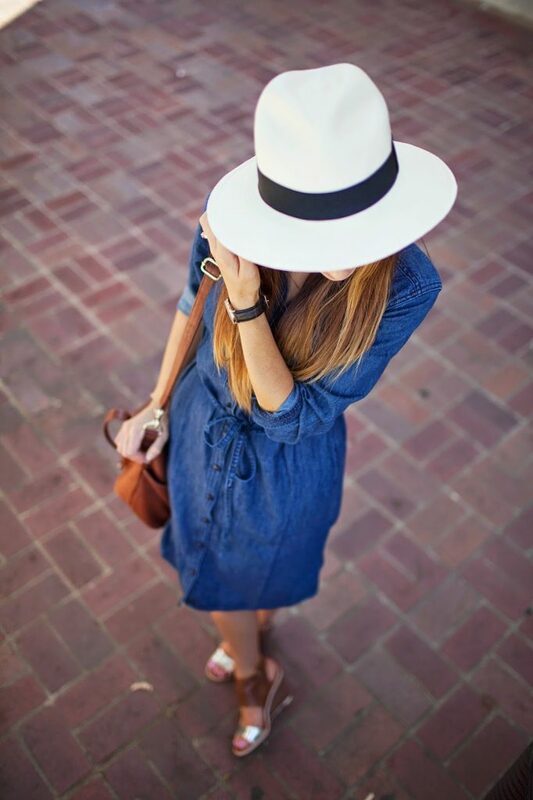 Chambray Dress. A good chambray dress is so hard to come by, especially at such a good price point, so I instantly fell in love with this classic shirt dress one from Land’s End. They’re the perfect piece for the last weeks of summer with a pair of wedges and a hat, and then you can easily transition it into Fall with a pair of tights, booties, and a scarf. big thanks to land’s end for sponsoring this post. Love this post! Gorgeous looks! I love this! A couple of years ago, I actually went on jeans strike for the summer. 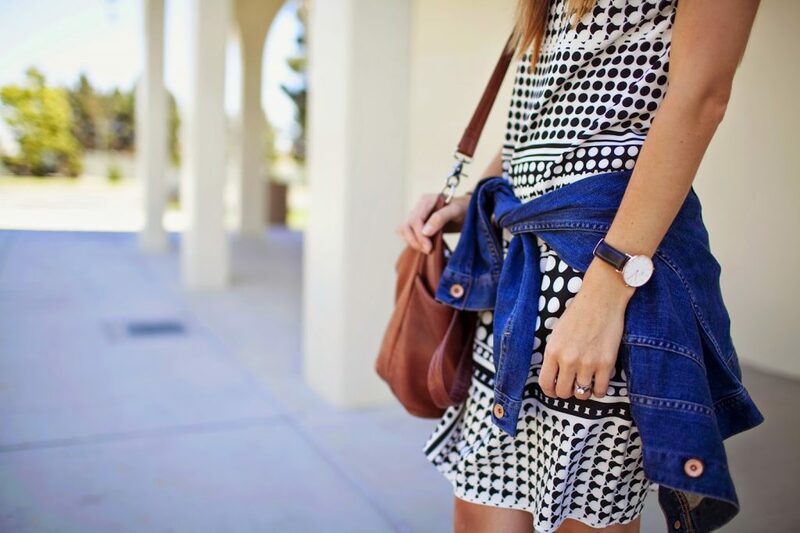 I just picked up a chambray dress that’s sure to be a staple in my closet for fall! Loving all three of these looks! Your blog inspires me! Keep it up. Gorgeous outfits. i love your button up!! your style is always soo inspiring!! I love the dress in your first example! Dresses are just so classic and effortless…I love looking pulled together without having to spend forever getting ready 🙂 Great suggestions! You are one of my inspirations for starting my own fashion blog! When I read this post , I realized that I can do a similar post too 🙂 Thank you as always for the inspiration!